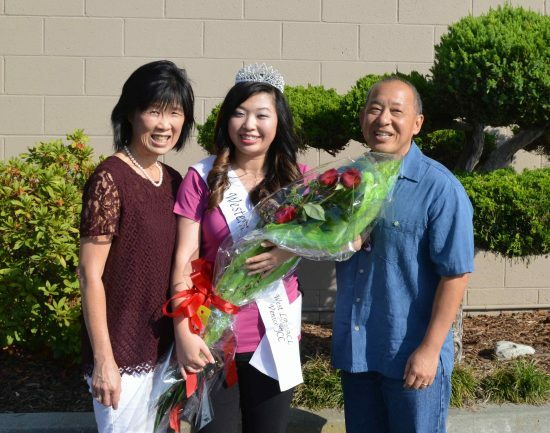 Shannon Aiko Rose Tsumaki, 2016 Miss Western Los Angeles, was introduced during the Venice Japanese Community Center’s Summer Festival on June 25. Tsumaki, 22, resides in Rancho Palos Verdes with her parents, Mark and Wanda Tsumaki. She graduated in 2015 from Whittier College with a bachelor’s degree in sociology and a minor in anthropology. Currently, she is employed at Northrop Grumman as a program cost schedule and control analyst. In her spare time, she enjoys playing and coaching basketball, going to Disneyland, visiting her family in Hawaii, watching movies with friends, and baking treats. Tsumaki will represent the Venice Japanese Community Center and West Los Angeles JACL in the Nisei Week Pageant in Little Tokyo next month.